Our Cottage is a newly converted barn building. 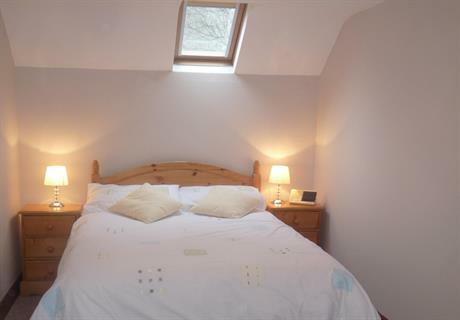 The cottage has 3 good sized bedrooms, and is lit by double glazing and warmed by central heating. The cottage also has a stone fireplace for guests who enjoy an open fire. The front windows of the cottage has spectacular views over the open countryside. An equipped patio area allows guests to enjoy a drink outdoors while taking in the views. 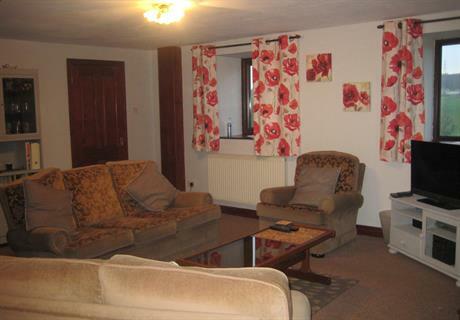 The cottage is fully furnished and decorated to a high standard. To provide a standard of accommodation that ensures you a luxurious stay at Lodge View Cottages, along with a friendly welcome, that ensures you will want to return to us in the near future. Your dogs are welcome at Lodge View, but kennels are provided where they must sleep overnight or if left unattended. Please note that the cottages are non smoking. Simply contact us to enquire about the provision of any special arrangements you may require. We will try our best to accommodate you. The spacious lounge hosts comfortable seating, plus a colour TV and radio. The attractive stone fireplace is a central feature to this room that we hope will make your stay very comfortable. In the bedrooms you will find one double bed and 2 sets of twins, therefore comfortably accommodating up to 6 guests. Bed linen is even provided for you. 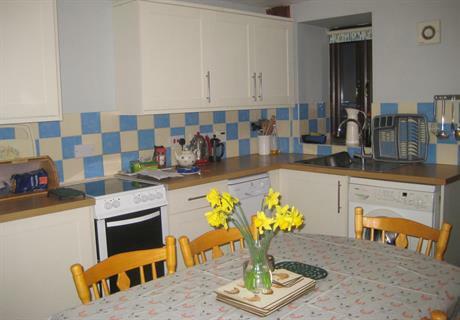 The combined kitchen/dining room is fully equipped with a cooker, fridge, microwave, dishwasher and washer/dryer. All crockery and cooking utensils are also provided. 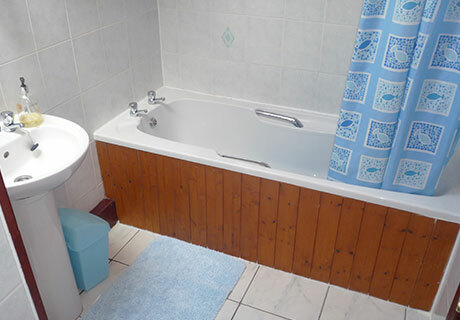 The bathroom is fitted with a w.c shower/bath and hand basin, plus shaving points. Each cottage also has an additional downstairs w.c and washbasin for convenience.